Deluxe set of superabsorbent microfiber cleaning cloths makes cleaning a breeze. 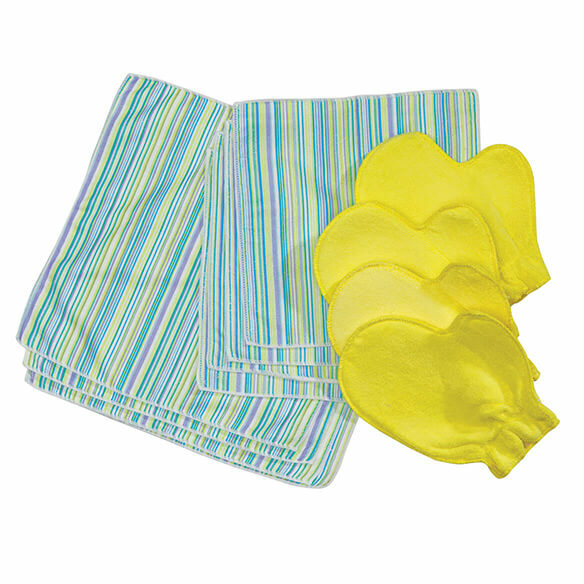 Cheerful, striped microfiber towels in 2 sizes soak up moisture and leave surfaces clean and lint-free. Set of 12 is washable, reusable and a great value! I would buy this again at the sale price. This is a nice large set. I got it on sale. The regular price looked a bit high too me, however, as I look around further, it appears these are a bit pricey all over. The price is wonderful. The cloths and mitts are fabulous. WOW great deal! Good value at this low price.